The classic mustard yellow is the new color trend of the moment. Indian weddings and festivities are full of color galore and the vibrant hues are everywhere. From the colorful decor to the outfits, the traditional colors like red, yellow and green are very auspicious. 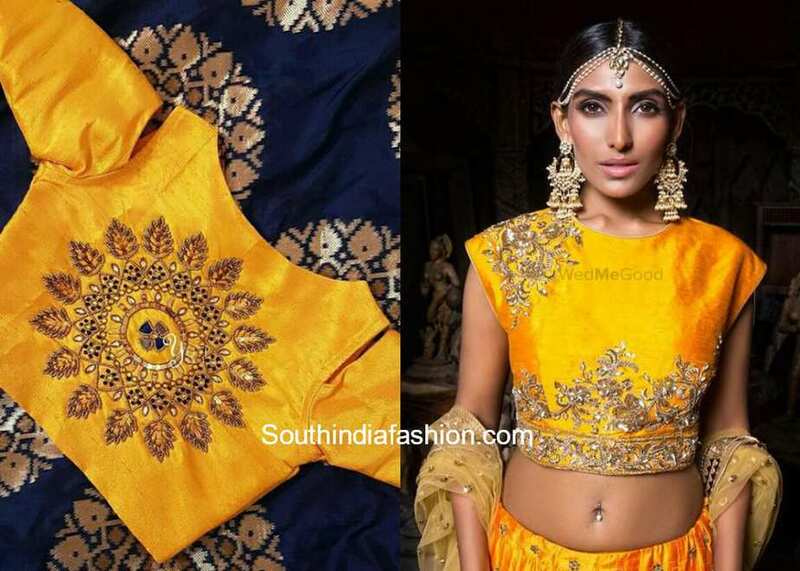 Keeping the evergreen color trend as today’s topic, we have come up with some stunning yellow mustard embroidery blouse designs for the traditional occasions. Be it weddings or parties or festivities, mustard yellow is very versatile and a statement color to leave an impression. 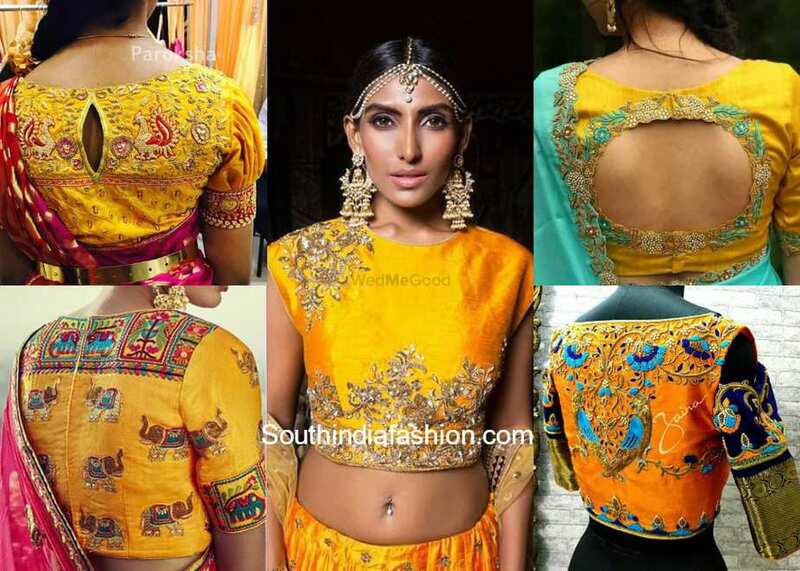 Read more to know why yellow embroidered blouse designs are a definite must have this season. Surprisingly, the yellow saree blouses match with almost every other color. From blue, pink, red, green, orange and even a black saree can be beautifully teamed up with a mustard yellow blouse. Wear them with your designer sarees, kanjeevaram silks or any plain simple saree for a dressy look. The mustard yellows are not very striking or subtle either but the color instantly adds the right amount of dressy touch to your look. 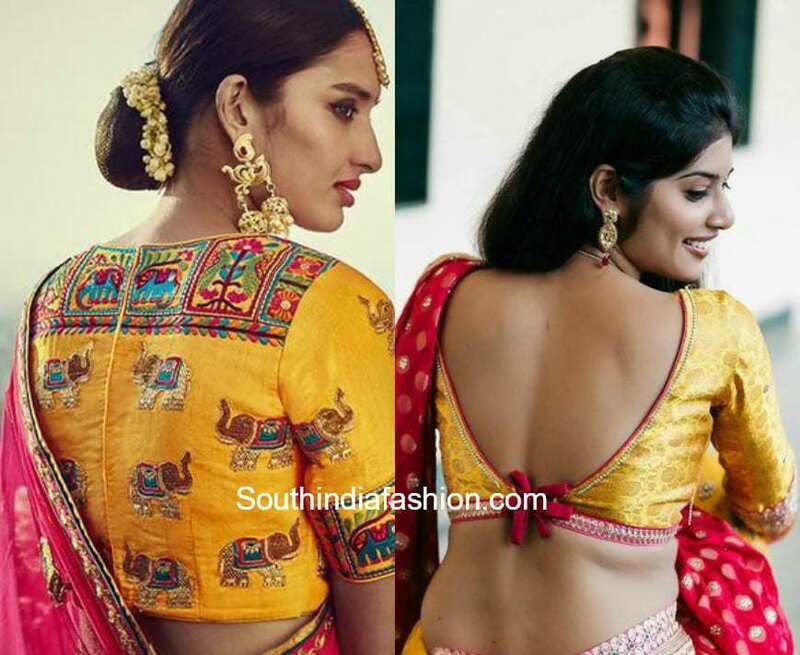 From trendy different patterns, tassels, embroidery, there are many different ways to amp up the look of your saree blouse. 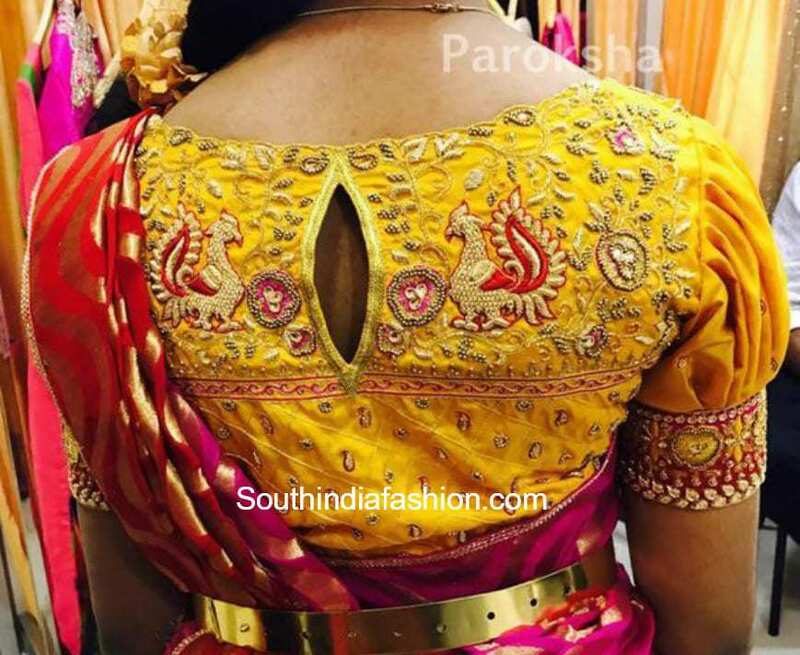 Depending on the saree you can choose from a wide range of aari work, zardosi, thread work, applique work, stone work and almost every different kind of embroidery looks beautiful on the yellow blouse. 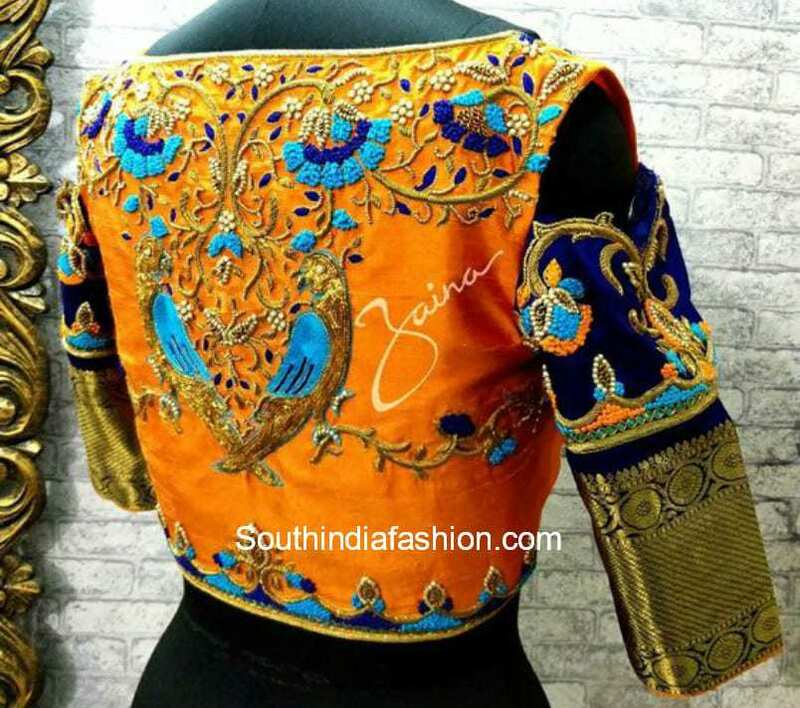 You could contrast the embroidery with different colors or simply opt for gold embroidery as you can easily mix and match the blouse with many other sarees. Mustard yellow is undoubtedly the color trend for this Spring/Summer 2018. So if you are looking to invest in a transitional piece, yellow embroidered blouse designs are sure to surprise you with their versatility. 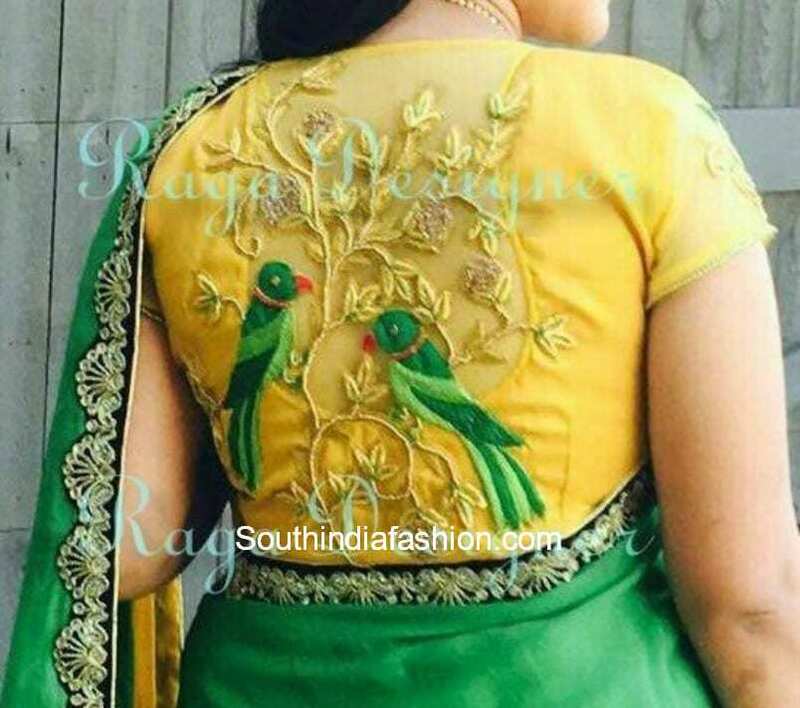 Shop designer embroidery blouses online or simply customize them from a silk, brocade fabric, raw silks and so on. How many yellow/mustard sarees do you own? You can never have too many! So go ahead and shop more of them this season.